Black Friday may have lost a bit of cash due to escalating e-commerce sales, but the holiday still remains one of the biggest sales days of the year. This year, Black Friday is expected to generate $9.2 billion in sales, representing a 10 percent drop from last year. However, online sales are expected to balloon by 13 percent to $3 billion in sales and make up for this loss. In fact, Amazon began its holiday sales Nov. 1, and other online retailers are expected to start their Black Friday sales early as well. 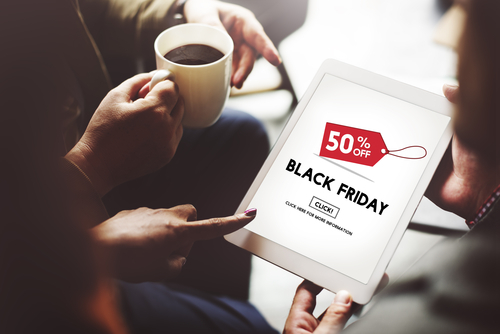 For competitive businesses, this means getting your website and e-commerce campaigns ready for Black Friday, which can be crucial for maximizing your annual sales revenue. Having an effective holiday e-commerce campaign can make the fourth quarter your biggest of the year, while problems with your online sales funnel can cost you the equivalent of months of revenue. Here are some steps you can take to make more sales on Black Friday while laying a foundation for keeping repeat customers throughout the year. A prerequisite for a successful online promotion is generating traffic to your website — and content marketing is one of the most effective and cost-efficient strategies to achieve that. In fact, content marketers generate traffic at a rate 7.8 times higher than their competitors who don’t subscribe to this practice. Content marketing also costs 62 percent less than traditional marketing, according to Demand Metric. One effective way to use content marketing to your advantage is by posting content on your blog to attract visitors from search engines. Content marketing is the most effective form of SEO, according to MarketingSherpa. Effective content marketing provides information that’s valuable, entertaining or just plain interesting to consumers. For example, TireBuyer.com has published a Black Friday and Cyber Monday guide to attract consumers who may be in the market for brand new tires. Such content can also be cross-promoted through social media, video, and email marketing measures to attract more customers. Turning traffic into sales revolves around having an effectively designed website that points visitors to your offers. Top e-commerce retailers design their home page and landing pages to direct visitors toward Black Friday and Cyber Monday sales. This year, for example, Amazon catered to holiday shoppers early on by creating a Countdown to Black Friday banner on its website the day after Halloween. Amazon’s home page showcased the countdown with ads and a holiday gift guide. This promotion offers daily deals, with traffic driven to the page by Amazon’s network of affiliates. You can also steer traffic to your website through retargeting, banner ads, and opt-in offers. Review your site, and look for places where you could insert a link to your Black Friday and Cyber Monday promos. The most compelling sales offers are ones where the risk of not taking advantage is perceived as so great that the consumer feels compelled to ‘act now’. Most Black Friday offers compel buyers to act swiftly by offering a hot item at a discount price, but only for a limited time. Last year many retailers gave huge discounts on 4K TVs, one of the hottest products of the year. This year, retailers are repeating this offer with even lower discounts. Best Buy, for instance, is selling a 49-inch Toshiba 4K TV for $199.99. The HD TV goes on sale at 5 p.m. Thanksgiving Day, creating a serious case of FOMO for many shoppers. Another compelling incentive is a no-hassle return policy or bonus for customers who return items. About 8 percent of all holiday purchases get returned. For clothing, this number can reach as high as 62 percent. Since it’s likely a certain percentage of your holiday sales items will get returned, it makes sense to find a way to capitalize on this opportunity. When a customer returns an item, there’s a good chance they might be interested in exchanging it for something else. Offering an item they would prefer over their original purchase is a surefire way to build goodwill and trust, without losing much from the original sale. Whenever someone comes into your store to return an item, it’s also an opportunity to make sure they’re in your database. If someone is returning a gift bought by someone else, you might check to see if they’re already a customer themselves. Get customers into your database so you can conduct follow-up marketing initiatives, giving you an opportunity to turn sales from loyal customers into repeat business. What methods do you use to attract customers during Black Friday and Cyber Monday?